We spend a lot of time worrying about endangered species, especially the cute and cool ones like foxes and bears and big cats. Well, where do you think all those cute and cool guys live? They live in places: glorious, complex, living, beautiful places. The species of the world couldn’t live without the environments that sustain them, which is why deforestation, resource extraction, and climate change pose such global threats. And when we talk about protecting the “environment” we need to remember to protect particular environments: ecosystems. Luckily, scientists have decided which ecosystems need the most protection. In a study published in the most recent issue of Science, researchers studied thousands of the world’s ecosystems and ranked them in terms of irreplaceability. These are ecosystems that sustain a stunning range of flora and fauna that couldn’t survive anywhere else. You can browse the complete database. 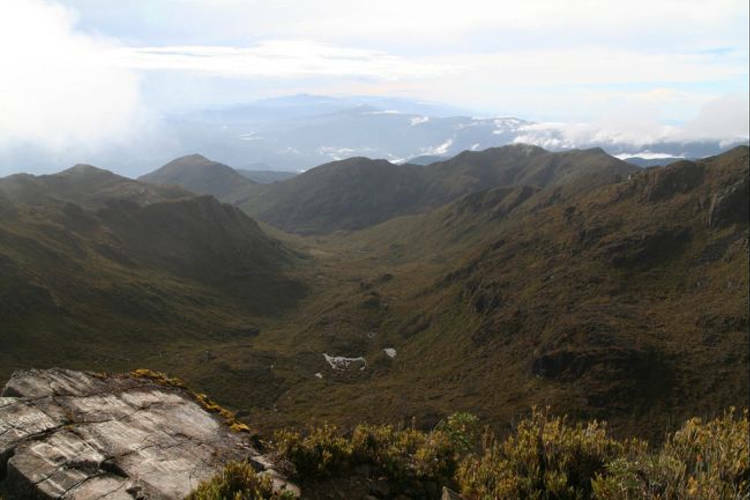 Fifth among the top ten most irreplaceable ecosystems on Earth is the Cordillera de Talamanca, the only location in Central America that shows evidence of having been sculpted by glaciers. The last glaciation was 25,000 years ago. All the best animals live there. Pumas, tiger cats, jaguars, tapirs, ocelots, spider monkeys, the resplendent quetzal (that’s its real name), and the very elusive green and black high-altitude viper. A nice mix of animal friends from North and South America, meeting in Central America to live in tropical harmony.